Microsoft Azure Websites is a cloud computing platform for hosting Websites and Web Applications. It is offered as a Platform-as-a-Service (PaaS), and allows publishing Web apps running on multiple frameworks and written in different programming languages. Azure Websites eliminates the need to manage the physical hardware, and also provides several scaling options. It provides a single, integrated hosting environment to develop, test and run your web apps in an enterprise- class cloud service. Use ASP.NET, Java, PHP, Node.js or Python. 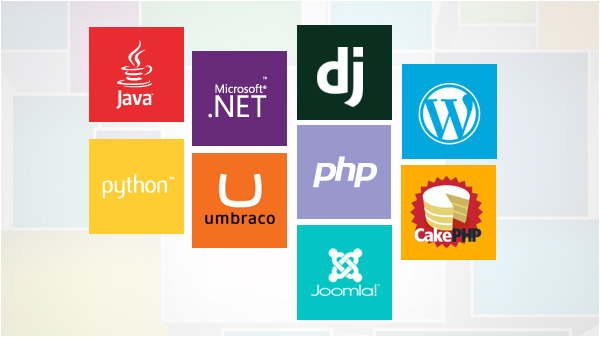 Run popular web apps and CMS solutions including WordPress, Drupal, Joomla, Umbraco and DotNetNuke. Azure Websites provides the flexibility to create and use data solutions with your Web apps, by providing support for Microsoft SQL, MySQL, DocumentDB, Search, MongoDB, Redis, and Azure Table Storage. Run your Web apps in a high-availability environment with automatic patching. Web apps deployed with Azure Websites are isolated and are hosted in VMs dedicated to your applications – ensuring predictable performance and security isolation. Azure enables you to quickly scale-up or out to handle any incoming customer load. Manually select the number and size of VMs or set up auto-scaling to scale your servers based on load or schedule. Azure enables you to build websites that can consume data from your own data center. With Hybrid Connections and VNET it's easy to access your data securely from your on-premises data centers - or anywhere else in the world. Azure Active Directory enables you to limit access to only your employees or partners. Set up continuous integration and deployment workflows with VSO, GitHub, TeamCity, Hudson or BitBucket – enabling you to automatically build, test and deploy your web app on each successful code check-in or integration tests. Visual Studio integration allows for a full lifecycle app management one place. Azure VS integration allows you to create and continuously publish your Web application. With VS you can debug in the cloud as well as consume live log data. Automatically back up your site and database. Your code and data is secure from disaster and easily restored allowing you to run your business with confidence. React to issues in real-time with monitoring and alerts to notify you and your team. Integrate advanced app analytics and monitoring functionality from New Relic and AppDynamics to get even richer insight into how your Web app is performing. Create multiple private testing and staging environments for your web apps. Use them to perform testing before you deploy. Swap to production with no downtime. Web apps are pre-loaded ensuring the best customer experience. Azure Websites allows you to bring your own domain and SSL Certificates. You can use any DNS domain with your web app. You can also use a custom IP and SNI based SSL, including wildcards. Develop, test and run your web apps in an enterprise-class cloud service. Azure Websites enables you to develop, test and run your web apps in a reliable enterprise-class cloud, designed for mission critical applications. As your customer base grows, the usage of your application increases. Azure Websites is optimized for availability and automatic scale to meet increased traffic and application needs. Azure Websites allows you to focus on application development and less on infrastructure acquisition and management. This opens up more time to unleash the productivity of developers, in turn reducing the time to market for your application. We want to hear from you. Contact us today to learn more about Azure Websites.